I’ve been thinking (dangerous, I know). 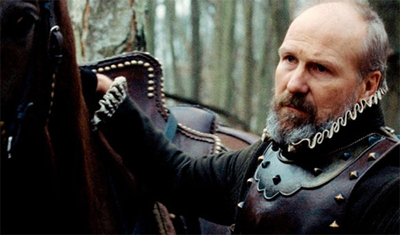 Specifically about Ridley Scott’s Robin Hood. I’m going to be honest with you, I was more than a little surprised at the way the film was put together. The film is, to borrow from the parlance of the times, an “origin” story. It’s about Robin, but before he was Robin. There is a single robbery over the entire course of the film, and it doesn’t really amount to much – it’s hardly the stuff of infamy. Instead, Robin is off doing battle with the French in a very manly, water-logged fashion. I tried to judge the film on its own merits (and I think my review is fair), but I’ve found myself thinking over the same question a lot since I saw it: Aren’t a lot of people going to be disappointed that there’s essentially little-to-none of the conventional tropes of a Robin Hood movie present? The second of the blockbusters arrives, celebrating the true arrival of summer. 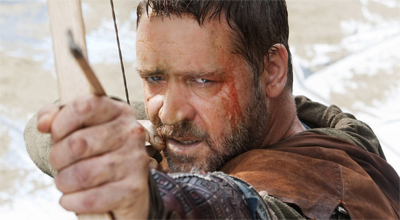 Chosen to open Cannes and featuring a return of the powerhouse pairing of maestro Ridley Scott and love-‘im-or-hate-‘im matinee icon Russell Crowe in a historic setting brimming with action potential and historic appeal, it’s safe to say that there’s a lot of pressure on the iconic outlaw, Robin Hood. So does he carry it off as confidently as he carries off that bow-and-arrow?